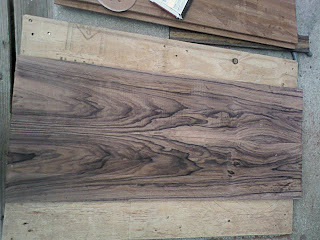 Making a Guitar: Re-sawing and just Plain Planing. 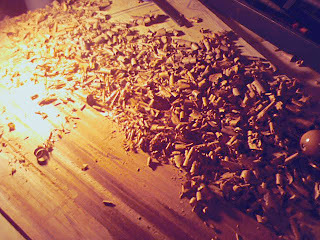 Re-sawing and just Plain Planing. 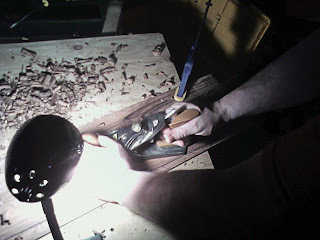 I contacted a friend of mine that I met through the rock climbing wall a long time ago – Joe of RevelStoke Woodworking. If you ever need something custom built you should really speak to this artist – his work is amazing. 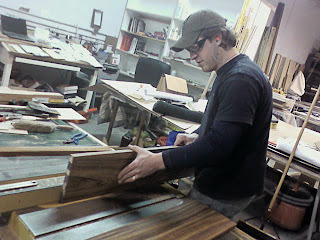 Check out his site: http://www.revelstokewood.com. I told Joe that I was going to try to build a guitar and he was quite supportive of the idea and interested in the progress. 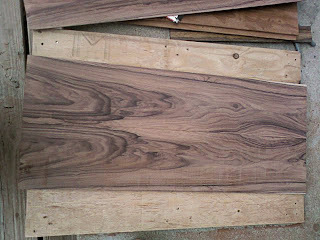 Joe has the equipment to do re-sawing and offered to help out with that – the hard-wood store also does re-sawing but they charge an astronomical fee. Joe uses the table saw to make the first cuts top and bottom of the wood. 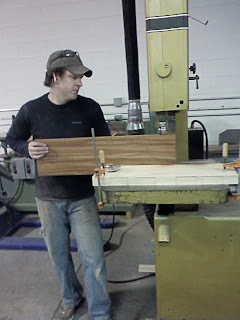 Prior to that he squared up the edges with a jointer then the table saw. Then he cut out the remaining middle section with the band saw. This photo is of that Mahogany board. 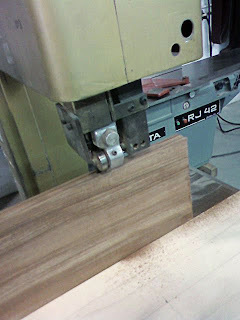 Close-up of the band saw. 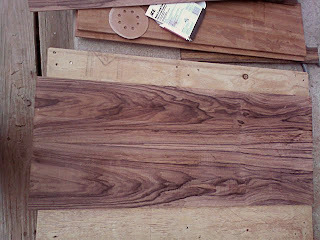 I ended up with three boards from each board: two for the back and one for the sides. These are book-matched and can be placed in four different options: Boards A and B place together one way. Boards A and B place together the other way. Boards B and C place together one way. Boards B and C place together the other way. I don't know which I like better (I like them all). But I will decide after I get closer to final thickness. Then I took the board outside and started sanding with the orbital sander and 80 grit. I spent about 2 hour and only finished two boards.... 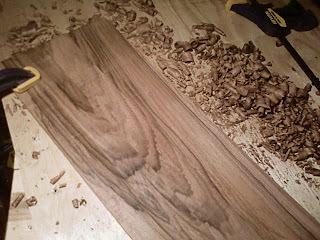 I think I'm gonna be sanding for a while still – this is seriously hard wood. I also used a scrapper and will probably do scrapping first and then sand as the scrapper removes wood more rapidly than the sander. 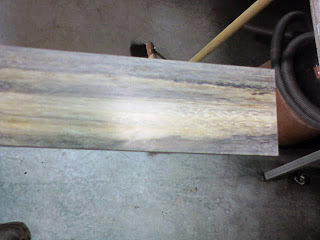 Joe mentioned that the lighter color wood actually darkens once the wood has been around light for a couple weeks. The other side of this board is almost completely black. I thought that was interesting. 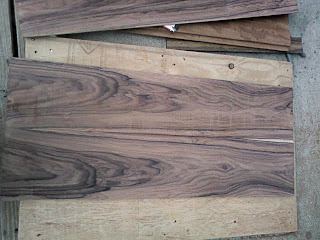 Purchasing the first block of wood.